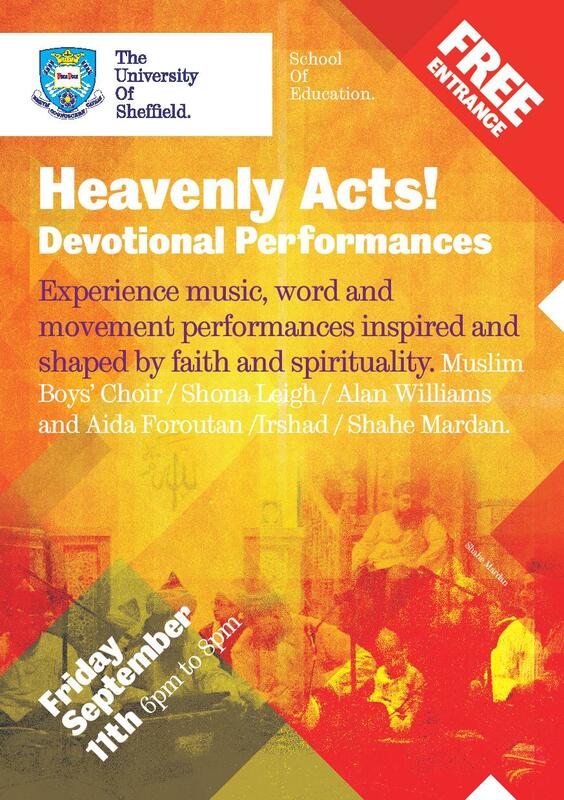 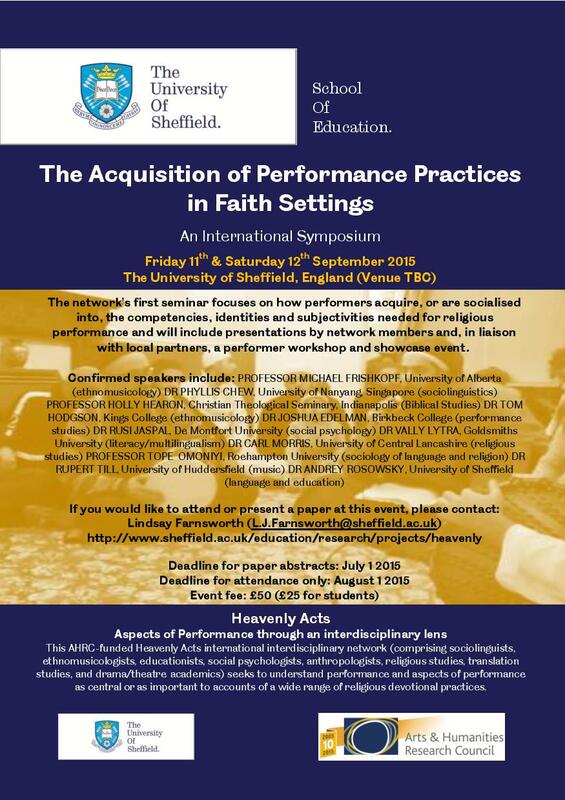 ‘Heavenly Acts: aspects of performance through an interdisciplinary lens’. 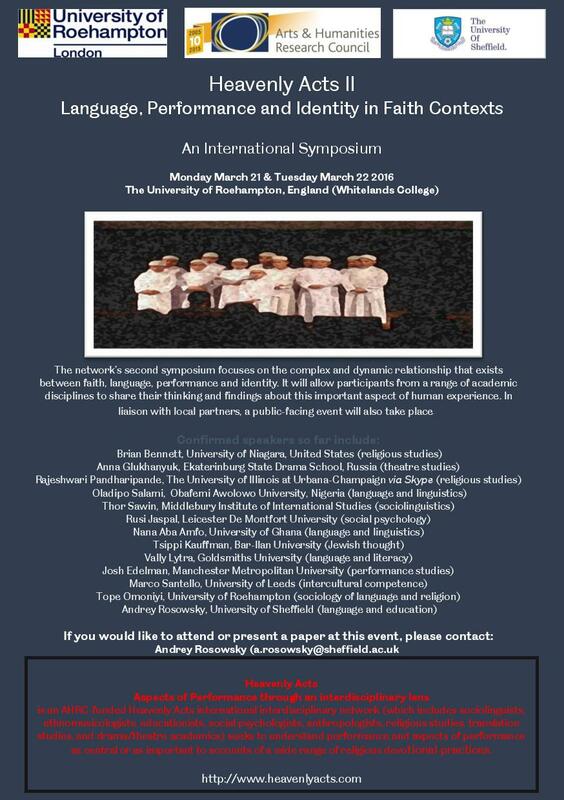 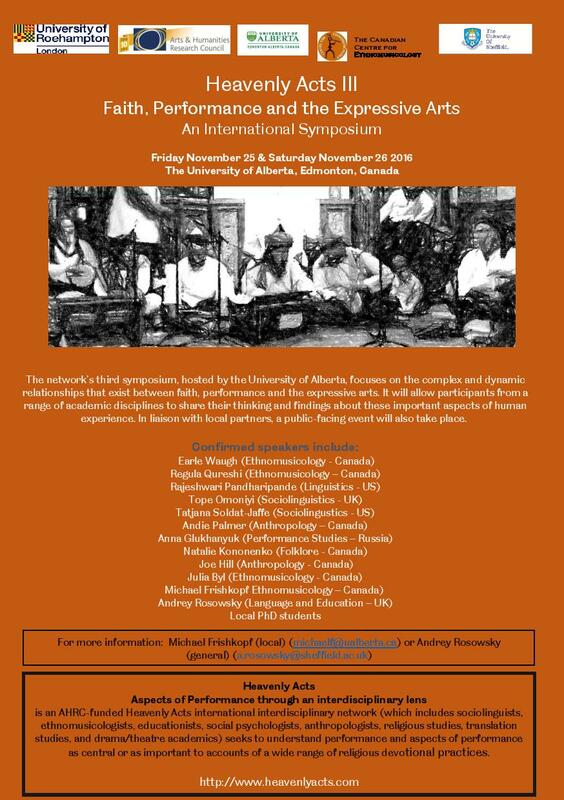 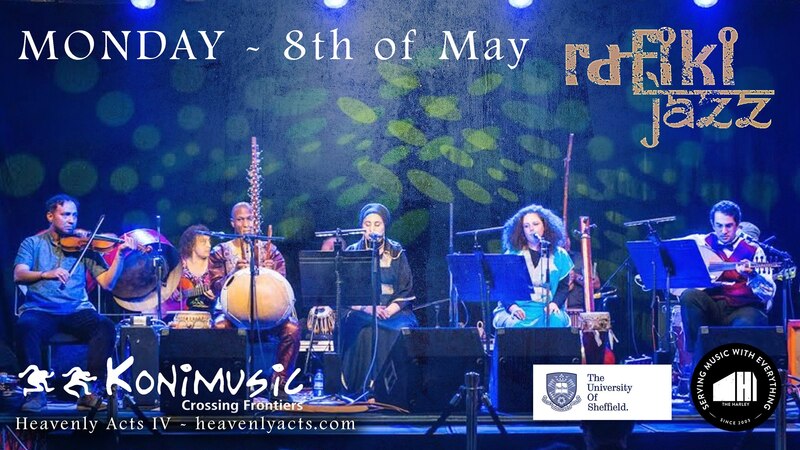 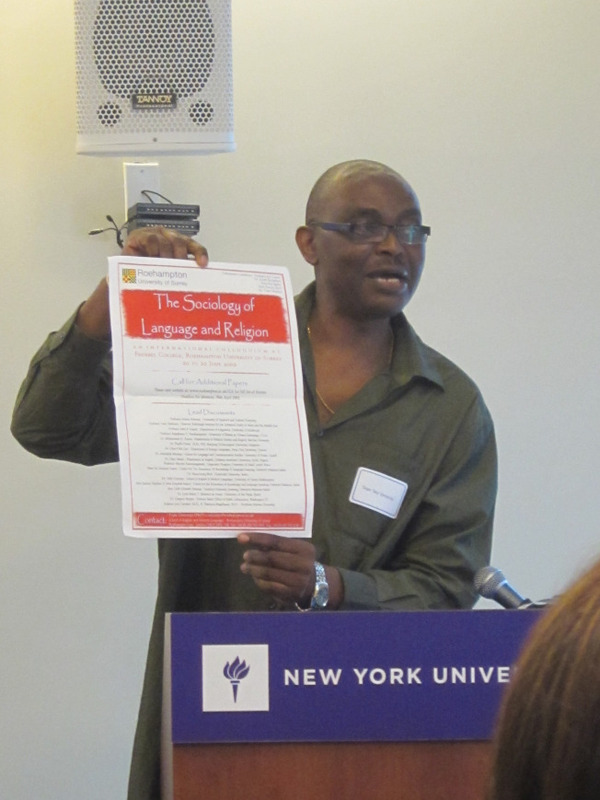 It showcases the work of an international and interdisciplinary network of scholars, practitioners and performers exploring meaning through the multidimensional world of religious performance. 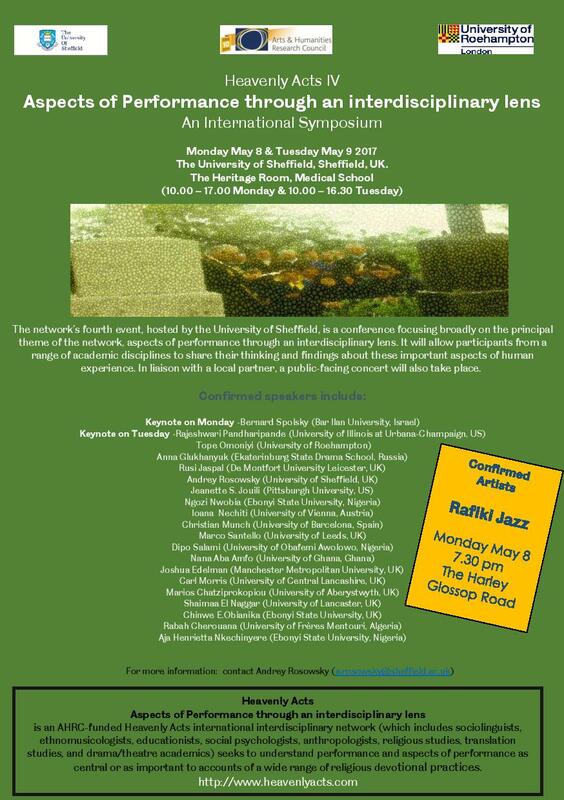 The network was coordinated by the University of Sheffield and the University Of Roehampton. 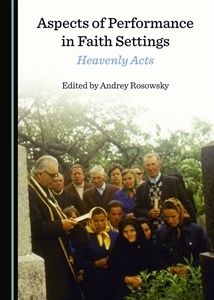 Go to the dropdown menus to find out more.